The term abandonment can mean a variety of different things, depending on the person using the term. In the law, abandonment has a very specific definition (although it may differ slightly from state to state). Generally, child abandonment occurs when a parent, guardian, or person in charge of a child either deserts a child without any regard for the child’s physical health, safety or welfare and with the intention of wholly abandoning the child, or in some instances, fails to provide necessary care for a child living under their roof. [i] In some instances, there could also be an “emotional abandonment”, which occurs when a parent offers little or no physical or emotional support over long periods of time. [ii] While abandonment of a child could provide issues in family law, the primary punishments for abandonment will arise in criminal law. Every state has what is called a “Safe Haven” law, which provides an alternative for mothers who are unable to care for their child and need to give the baby up. 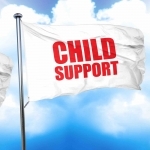 The penalties of child abandonment will vary from state to state, however, the general options include; financial penalties, termination of parental rights, supervised visits with the child, and even jail time. Determination of the penalties will also be based on whether the state defines abandonment as a misdemeanor or a felony. 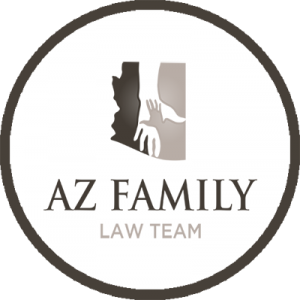 In Arizona, child abandonment can be defined as a misdemeanor or a felony, and that classification will depend heavily on the facts of the case. [vii] One key factor in determining whether abandonment will be classified as a misdemeanor or a felony is whether the parent intentionally engaged in behaviors that are defined as abandonment. [viii] The penalties in Arizona have generally a minimum of $2,500.00 in fees and anywhere from six months to twelve years in prison. Another ramification of an abandonment charge could be termination of the parent’s parental rights with the abandoned minor child. Parents have certain rights and responsibilities over their minor child, but the court can revoke those rights in extreme situations. [ix] If a parent’s parental rights are terminated, practically speaking, this means the parent can no longer make decisions for the child. [x] This will include decisions regarding education, religion, or even day to day things like what food to eat. The parent will have no say in how the child is raised or what they are doing. It also means that the parent may not have any communication with the child until they are 18 years old. [xi] If the child is placed with a relative, it is possible for the parent to maintain communication, but that is not always the case. A child whose parent’s have had their rights terminated can be adopted, and without the consent of their previous parents. 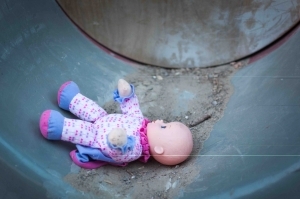 Who is Involved with Reporting Child Abandonment Cases? 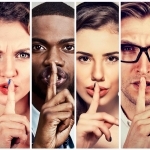 Safe Haven laws generally provide way for a mother to permanently drop off her child to an authorized location without needing to provide any information. [xv] This provides a safe alternative for the baby and for the mother, who will avoid facing abandonment charges for leaving the baby in an unsafe location (like a dumpster, which happens all too often). Every state has a law in place for new mother’s to utilize if they want to relinquish their child. Some states, like Texas and South Dakota, allow for the mother to drop off the baby within the first 60 days of life. [xvi] Other states like Alabama and California only allow the mother 3 days after birth to receive the protection of the Safe Have Laws. Abandoning a child, whether physically or emotionally, can have a lot of consequences for all of the parties involved. Abandonment can leave deep emotional scarring with the child, or even result in physical injuries or death. The parent who abandoned the child could face financial penalties, jail time, and even termination of their parental rights. While a child can be abandoned at any age before turning 18, there are some options in place to avoid abandonment. Currently, the biggest movement to avoid abandonment is the “Safe Haven” laws that apply to infants and ensures their safety.